Are landlords bucking the system when it comes to local rental registries? The City Council of Burlington, Vermont has just announced that it is offering amnesty to those landlords who have so far failed to register rental properties under the city’s rental inspection program. By registering before March 31, defiant landlords can avoid fines as high as $500, and jail time. While rental registries and inspection fees are nothing new, many landlords now fear they will fail victim to frequent and unnecessary building inspections as cities ratchet up the costs of licenses and inspections at the same time city budgets are hitting shortfalls. For instance, some cities are proposing new regulations requiring a building inspection each time a new tenant moves in. In Kennett, Missouri, under a proposed new rental inspection law, landlords will have to call and schedule an inspection each time a tenant moves out and before the next tenant moves in. But there is only one inspector on staff in Kennett, and an estimated 1,600 rentals in town. The inspection checklist covers floor to ceiling, and includes checking for leaky faucets. 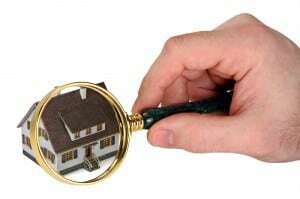 Owner-occupied homes and commercial properties are typically excluded from these registration and inspection requirements, although those properties may be of similar age and construction, and have similar occupancies to rental properties. City officials in Burlington insist that the rental registration fees and property inspections have nothing to do with making money — they just want properties to be safe. At a recent press conference, Council members made their case to reporters regarding safety in rentals by sharing photos of infractions. In one example, a tenant had plugged a disco ball into the disabled smoke detector. A local news agency, Seven Days, aptly dubbed the photo Disco Inferno. In the city of Columbia, Missouri, city officials offered a similar amnesty program last fall. Officials had estimated that there are thousands of rentals in town, but only about 200 had registered under the city’s rental inspection program prior to the amnesty offer. Landlords who chose to come forward during the amnesty period avoided $500 fines.